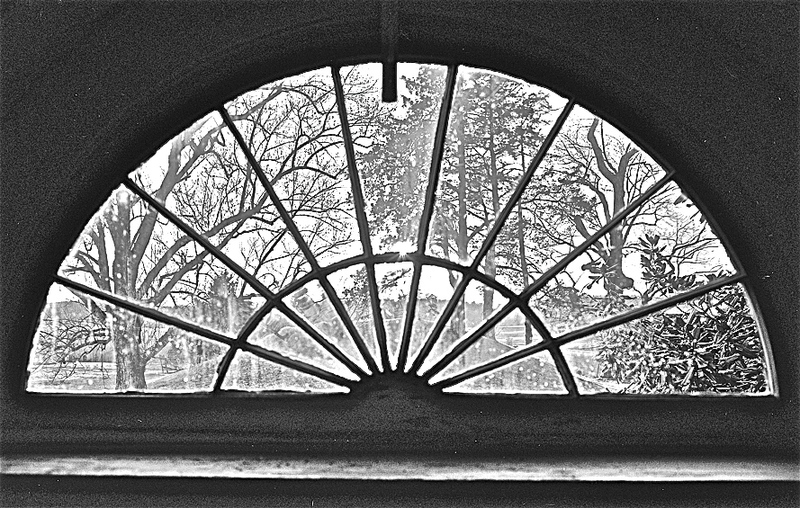 A west window of Thomas Jefferson’s Poplar Forest revealing a view of the curtilage. Photo by Jack E. Boucher, via Library of Congress Prints and Photographs Division. A bit more: a cortil was ‘little yard’ in Old French: cort + il (diminutive suffix). A ‘cortile’ (in English, in architecture) is an internal courtyard of a palazzo. As a legal term, curtilage means the land immediately surrounding a residence that “harbors the intimate activity associated with the sanctity of a man’s home and the privacies of life.” In U.S. law, it is important for dealing with cases involving burglary, self defense, and unreasonable searches and seizures under the Fourth Amendment. I came across the word while reading the website of Poplar Forest, Thomas Jefferson’s second home and getaway (I remembered something about it after Apartment Therapy posted a slideshow of presidential retreats). Its curtilage originally included an octagonal house (possibly the first in America), orchards, ornamental and vegetable gardens, and slave quarters. It was surrounded by a ‘snake’ or ‘worm’ stacked-rail fence, as well as fields of tobacco and wheat. At Poplar Forest, Jefferson was working from a concept of “an ornamental villa retreat within an isolated agricultural setting.” He was thinking of ancient Roman villas, as they were reinterpreted in the 16th century by Andrea Palladio. The estate is located in Forest, Virginia, near Lynchburg. The top photo was taken as part of a 1985 Historic American Buildings Survey. Always nice to know more about Jefferson. Mahalo. The house at Poplar Forest is considered one of his masterpieces, and he thought it was the best house in Virginia, after Monticello. The design was very individualistic — so much so that subsequent owners found it hard to live there and soon began changing it, according to the interesting PF website. I love ‘cortil‘ – little yard. That’s what I have, back in D.C.